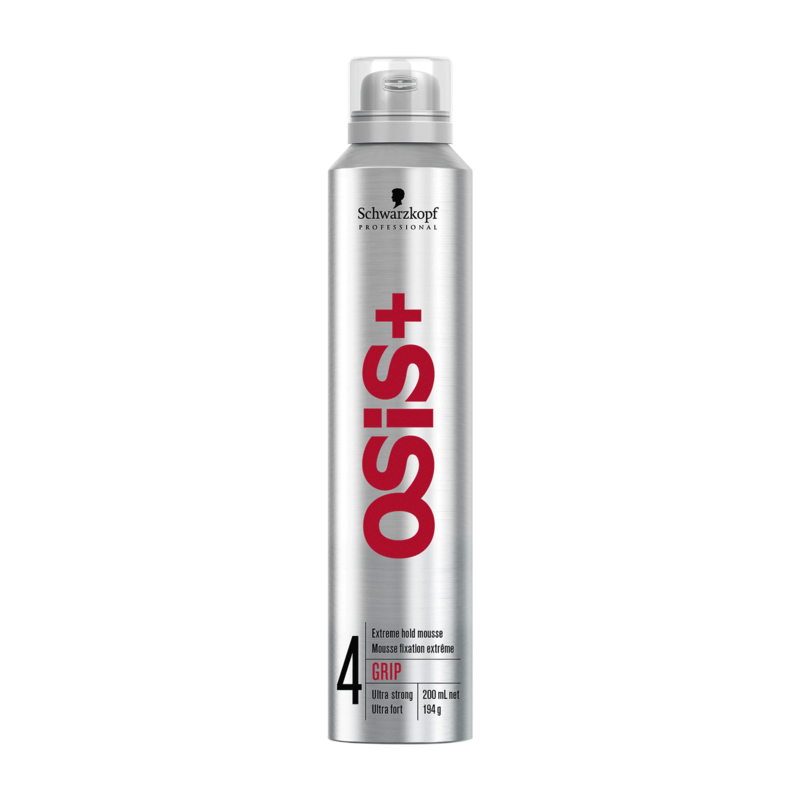 Grip by OSiS+ extreme hold mousse for improved ultra strong hold and volume. Long lasting hold with uncompromising style control. Anti-static effect gives hair natural shine. Combination of resin and conditioning agents. Helps to protect against blow-dry damage. Apply a small amount into damp hair. Blow-dry and style as desired. SD Alcohol 40 B, Hydrofluorocarbon 152a, Water (Aqua), Octylacrylamide/Acrylates/Butylaminoethyl/Methacrylate Copolymer, Amino Methyl Propanol, Phenyltrimethicone, Lauramide DEA, Panthenol, Benzophenone 4, Dimethicone PEG 8 Meadowfoamate, MEA Borate, MIPA Borate, Fragrance (Parfum), Citral, Citronellol, Coumarin, Geraniol, Hexylcinnamal, Butylphenyl Methlyproprional, Limonene, Linalool. ""Love!!! Doesn't weigh hair down. Keeps curls looking good. Gives a good hold.""